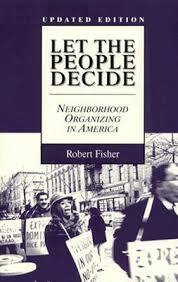 There’s conservative community organizing and CONSERVATIVE community organizing, and I appreciate that there’s a section on the second in Let the People Decide? It’s even more depressing than the interest-group model of democracy. It’s hard to get through, I looked at this kind of stuff closely in LA and one day the book will out, but this stuff is racist and grim and not much of that awful rhetoric has changed. Trump has drawn it out with a vengeance. Social work organizing did rather better of course. Mr Speaker, there must have been a celebration in Moscow last night; for the Communists won their greatest victory in the Supreme Court of the United States on yesterday when that once august body proceeded to destroy the value of property owned by tens of thousands of loyal Americans in every state of the Union by their anti-covenants decision. The capacity of the right to connect Moscow to any kind of organizing for the good astonishes me every time, just as the effectiveness of their red baiting does. Though that said, I’m not sure if racism isn’t the more powerful undercurrent of anti-red hysteria. But all of this conservative organizing is based around fear and the desire to improve property values — themselves formed in a climate of fear. So Fisher looks here at the neighborhood improvement association — focused on enhancement and protection. Improvement associations work quietly and cooperatively behind the scenes as interest-group “brokers” for their neighborhood. (80) More interest group politics, but most effective as well, as they support the status quo over all. Such organizations tend to be more affluent people, long lasting and can exert a lot of pressure in local politics. Don’t we all know it. Still, this shows what a long damn history there is of neighborhoods financing things like mosquito fogging, street lights, pavements, every damn thing government should provide. Instead you have cities like Houston proud of limiting ‘government role’, so entrenched in this strange contradictory ideology. It was good to read this history of white flight and active organizing to keep white suburbs, only possible through mass government subsidy of suburb developments. There’s much more about this in Sugrue’s work on Detroit or As Long as They Don’t Live Next Door, or Crabgrass Frontier or any of the many books on the fight against segregation. But not enough on books on organizing or urban planning, that is for sure.